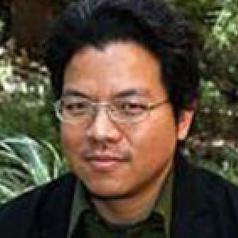 Dr Sidh Sintusingha is Landscape Architecture Program Coordinator at the University of Melbourne. Prior to joining academia, he practiced as an architect and landscape architect in Thailand and Australia. His research focuses on addressing socio-cultural, environmental and scalar problems relating to urbanization and the speculation of retrofits towards urban sustainability in Southeast Asian cities. His research also addresses the evolving formal cultural landscape expressions, both planned/designed and unplanned/undesigned, in response to those broader phenomenon of urbanization. Sidh has widely presented and published in these areas both locally and internationally.